No snow in Devon, warmest Christmas on record. This is my signature. Trespassers will be shot, survivors will be shot again. Reddit is a terrible place and you should all be ashamed! Reddit has a shady underside that puts /b/ to shame. Let's not even get started on their pedo sections and repeated refusal to remove them. No snow in Punjab this year. My part of Punjab is clear of snow too, got plenty of rain though. I watched the first one but have been busy so need to catch up with the others. First episode seemed pretty good, Woody is by far the best character. He's got the best northern accent. I liked it, but it was quite predictable, I'd guessed what was going to happen to Lol within the first 15 minutes of the first episode. Happy dappy (soon to be) New Year! Hey we can start to count down the pages until the next thread. 5 pages left until new thread Wonder if we'll get there this year. Well maybe counting pages might take a while if we start at 9. 40 degrees and no snow in central wisco. Our weather has been incredibly sporadic. We'll have snow and cold weather for three days then it'll get warm for five days or so and the snow will melt. Still warm and dry here. I suppose I shouldn't complain, I can bike around town because all the roads are clear. ;___; I'll be sitting on the couch and see a gray shape in the corner of my eye. I'll instinctively reach out to pet it and only then will I realize it's just a throw pillow cocked at a crazy angle. And then my heart will break all over again. That's not good, lost one of mine a few years back to cancer, the other one is now getting on for 20, hes old, senile and funny, kinda like a fury grandparent (although the cat isn't inappropriately racist AFAIK) . Fake Edit: Maybe it's time to change the vid link in the OP/thread subtitle! That will fool people into clicking and looking at the thread. Music is an amazing thing isn't it. The game is bloody good too. Dark Chronicles soundtrack is simply amazing in my opinion. I love practically every single piece in it. Maybe it's time to change the vid link in the OP/thread subtitle! That will fool people into clicking and looking at the thread. 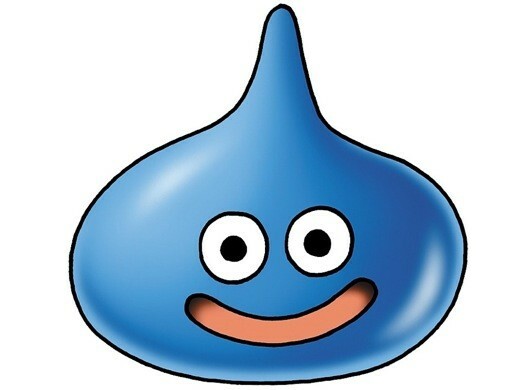 A Dragon Quest theme would be epic. Which are monsters from the games. They may be shite as monsters, but they're pretty darn cute. Awe man in the first one where you had to grind, like, a grassy field for six to eight hours I fought so many of those guys. So apparently there was some big sporting event in America last night, how were the adverts? That's all anyone seems to be talking about. As long as it's not the white supremacist guy.